Child support attorneys in Rancho Cucamonga, California help the mother or father determine their rights and responsibilities for financially supporting a child. In many cases, the non-custodial parent pays support to the custodial parent under child support calculations mandated by state law. The child support calculators use factors such as income, expenses, and time-sharing arrangements. When the circumstances of the parent or child change significantly, one parent can go back to modify the child support order. Family law and divorce attorneys that represent parents in child support cases typically require a retainer and base their attorney fees on an hourly rate. 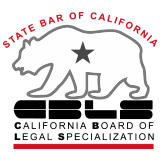 CBLS Board Certification in Family Law - Lawyers certified as family law specialists by the State Bar of California Board of Legal Specialization (CBLS) have demonstrated substantial involvement in the practice of family law. The CBLS defines the term "family law" as the practice of law "dealing with all aspects of the California Family Code and including, but not limited to, the following: taxation issues incident to family law practice; contempt; enforcement proceedings; mediation and/or negotiation of family law disputes; psychological and counseling aspects of family law; family law writ and appellate practice; postmarital agreements; nonmarital domestic relationships; child custody in any forum; and public enforcement of child support." San Bernardino County Lawyer Referral Service - The Lawyer Referral Service is a community based non-profit service sponsored by the San Bernardino County Bar Association. The service helps individuals and businesses find a qualified attorney in San Bernardino, Rancho Cucamonga, Ontario, Fontana, Victorville, and Rialto. It is certified by the California Bar to serve San Bernardino County and Riverside County.